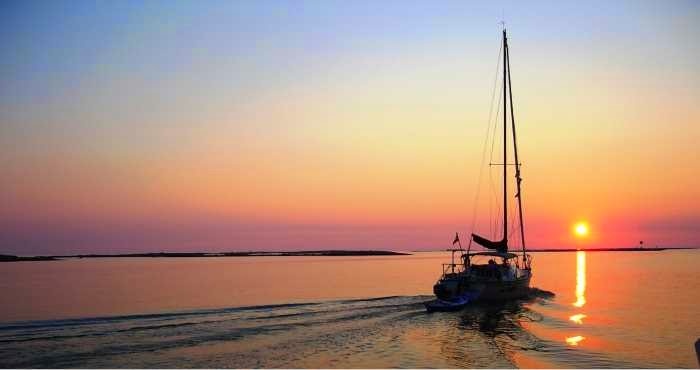 SAILING THE LOOP: What's cooking? 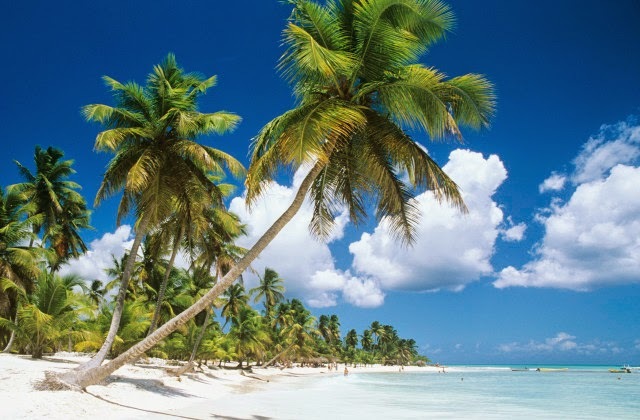 It is so easy to sit here and dream about palm trees and sailing into a beautiful sunset. And, that's a good and doable dream. In order to make that dream a reality, however, there is much work to be done. Not the least of which is to prepare to feed myself. While I will partake of restaurant food when possible, most meals will be what I prepare myself. In the last blog I wrote about the french press coffee maker Todd introduced me to years ago. I'll start the trip with a goodly supply of individual cup size coffee bags and just add hot water. Each morning I need at least two cups just to get my eyes open! Even before getting dressed I'll turn the heat on under my tea kettle. By the time I am dressed it will be ready and I, in turn, will be ready for the day. No, I do not have a hot water tank on the boat. But, I will have hot water from morning til night. 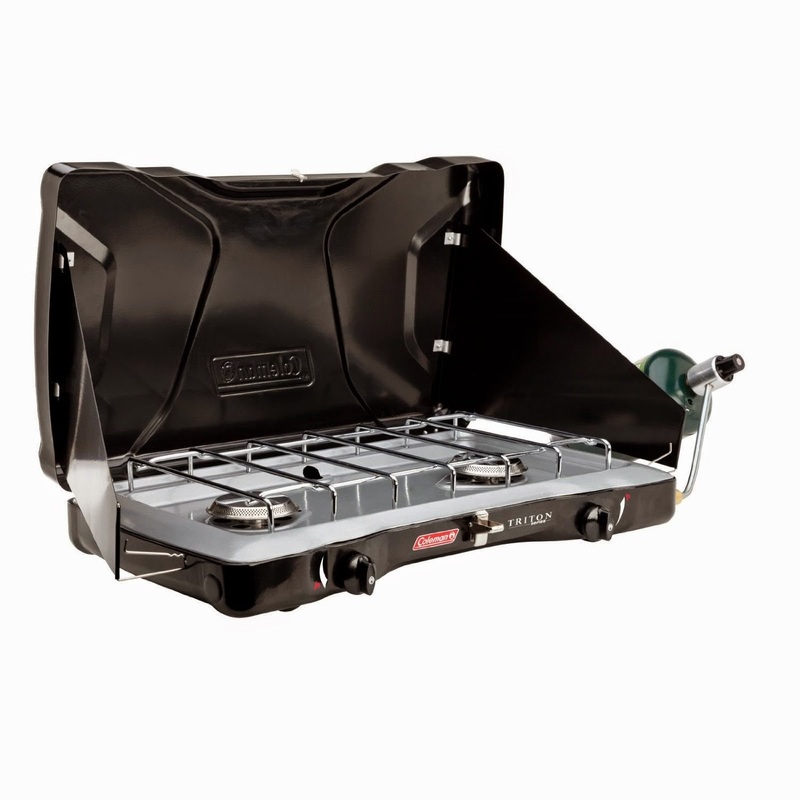 This marvelous propane stove on the left cost nearly as much as a kitchen range, and it is worth every cent. Regardless of how the ship pitches or yawls, the pot on the stove remains up right. I'll heat water morning, noon and night. The wire braces will keep the tea kettle on the stove all the time. 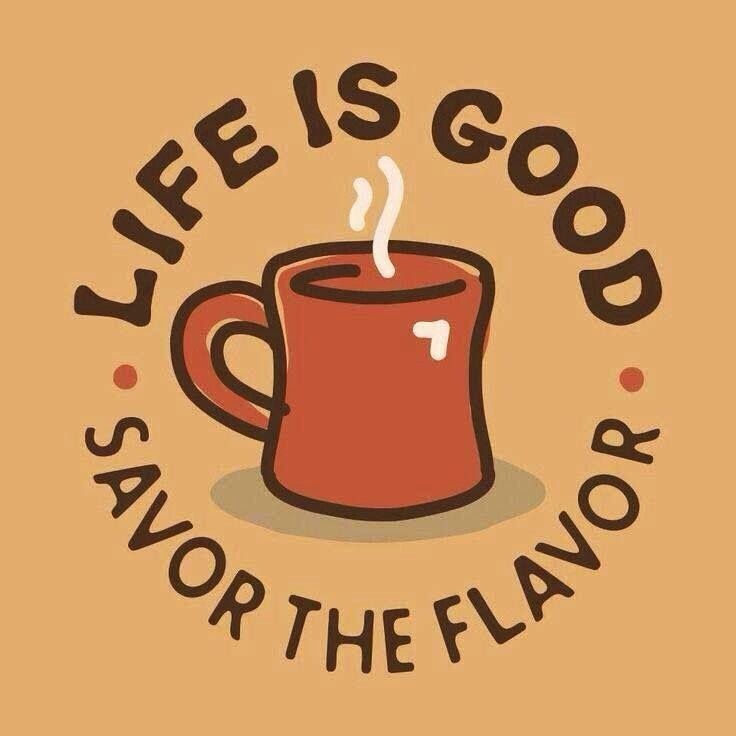 In addition to coffee for breakfast I'll have Knorr soup for lunch, along with a sandwich. Some dinners may simply be add-water-to-package meals but most will be cooked. 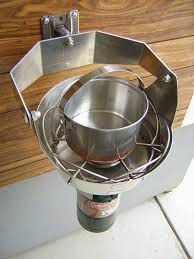 While I have a liquid gas Coleman stove I have used for years, I do not want to have that dangerous fuel on the boat. I bought a new Coleman propane stove that promises to be a delight. Much smaller than my old stove, this stove lights itself and the flame is fully adjustable. I won't be able to use it sailing but it will work well for breakfast and dinner. EVERYTHING BUT THE KITCHEN SINK! No, wait! I've got the kitchen sink. Un Huh! It is the same kitchen sink my Mother used, a granite dish pan. 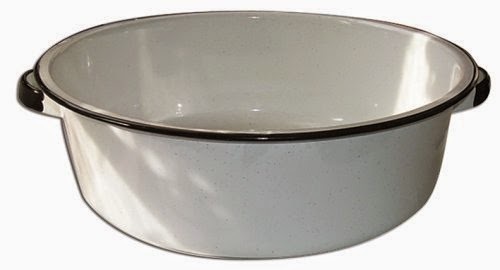 I also bought a granite wash pan. Don't knock it! It works! Where would I find such a thing? Amazon, where else? Will I really cook food? 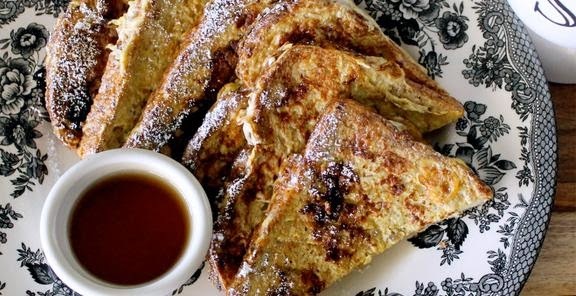 How does french toast sound? Make that french toast with sausage patties. Yes, yes, I'll skip the powdered sugar and use sugar free syrup just like I do at home. I'll also eat off paper platters and out of paper bowls with plastic ware, but the food will be for real. Yes, I'll eat well, rest assured. I have a small cooler that will absolutely, once cool, keep ice for 10 days. When possible, I'll pack everything frozen, at least cooled. 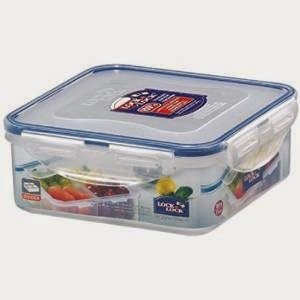 All the food in the cooler will be packed individually in sealed, water proof lock & lock containers from, where else, Amazons. The food needs to be kept at 40 degrees or below and I'll use a thermometer in the cooler to be certain. I'll need to get gas at least once a week and will simply buy a small bag of ice at the same time. Company's coming! Add a pint of water to the soup! I have three tote boxes for food and one for clothing. I'll start the trip with an abundance of canned and dry foods and a cooler full of perishable food, two six gallon containers of water and two 42 bottle cases of water. Wine? Sure! 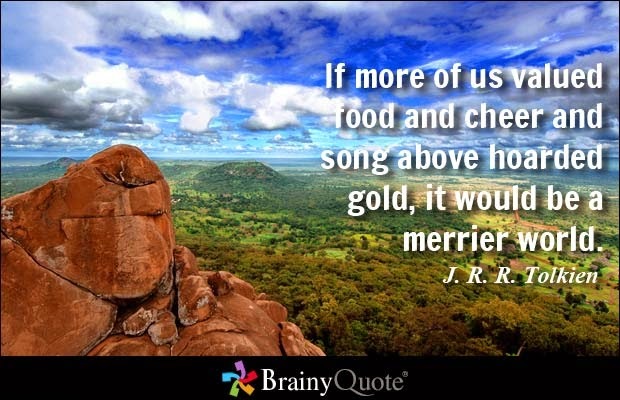 I may even put some in the food. It is fourteen weeks until July 18th. I just might be ready? "Where two or three are gathered in my name"
Sure sounds like it's all coming together for you! I'm enjoying reading about it.